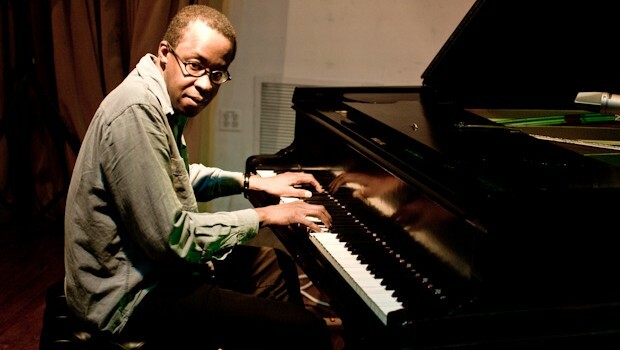 Matthew Shipp is one of the finest modern pianists in creative music (and a gleeful rabble-rouser) while William Parker has established himself as a voice/force for new music and new approaches to creative music. 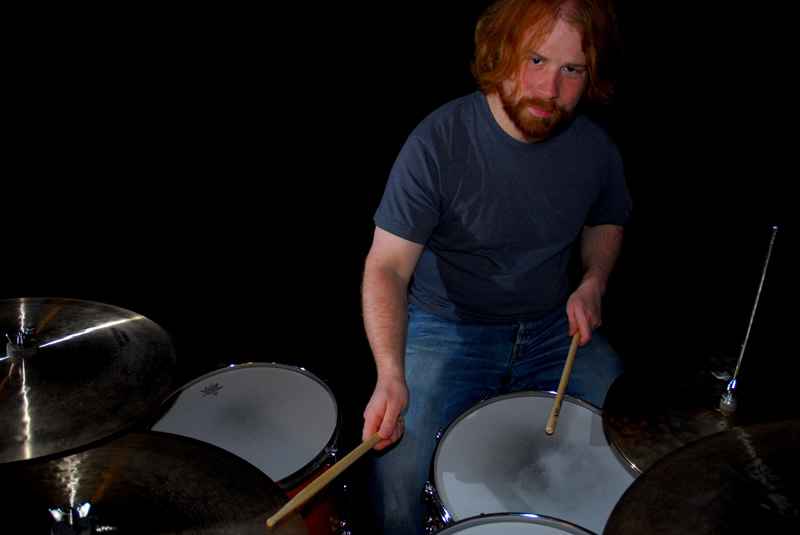 Throw into that mix drummer Jeff Cosgrove, who lives and works in the Mid-Atlantic region, and who has studied with Matt Wilson and Andrew Cyrille (among others), a musician who seems to have no fear of jumping into unknown situations, and the music comes alive. "I've wanted to play with Matthew and William for years. They became instant musical heroes when discovering their music in college. I would tell my wife, then girlfriend, every time I listened to their records that I wanted to find a way to play with both of them. It really seemed like a stretch then because my playing was not near the level it's on now and I still feel like I've got so much to learn to be on the level of those two great masters. It was also interesting because I was not well regarded in the music program of the college I went to...I ended up with a psychology degree, if that tells you anything. In the spring of 2013, I saw Andrew in NY and mentioned to him again how I wanted to do a recording with Matt and William and without hesitation, he sent me their info. Just the fact that Andrew had the confidence in me put me on cloud nine. I reached out to Matthew first who was in Europe at the time. He wanted to check out my "Motian Sickness" recording that featured Mat Maneri, a frequent collaborator of Matthew's. To my surprise he dug the record and felt that Maneri and I played really well together – performances that I’m really proud of. We talked on the phone one evening after he had listened to my record and we just talked about records, inspirations, and playing solo concerts. It was really great to get his perspective given his experiences and just get his down to earth vibe. After that call, Matt was in. He said he would take care of getting William on board as they have been close for many years. Now I was freaked out! I was going to be doing a recording with Matthew Shipp and William Parker in front of an audience…it was a lot to take in. I connected with William in New York when he was playing with Tony Malaby and Nasheet Waits at Greenwich House with my friends Jimmy Katz and drummer Deric Dickens. William was really looking forward to the date and couldn’t have been nicer. We talked a little about his upcoming schedule and some general pleasantries but nothing about the recording other than the date. The night of the concert finally arrived and my wife and I were in New York. Klavierhaus has some of the beautiful pianos, as well as, an incredible recital hall but no drums. Deric Dickens had arranged for me to borrow a set of drums from Steve Maxwell’s Vintage Drums but the only trick was that we had to get them from their Times Square studio to the Klavierhaus near Lincoln Center at rush hour. I was more than a little stressed about the performance and if we would be able to even get to the gig in enough time to set up based on the traffic but somehow everything aligned perfectly and we got to the venue in no time. When we walked into Klavierhaus, Jimmy was already setting everything up around the piano and I began to get the drums up. Then, suddenly, Matthew runs in out of breath because he had literally run several blocks because he went to the wrong address. We had a good laugh about it as he caught his breath and you could just see his excitement to play the Fazioli piano. While Matthew can sound amazing on any piano, to hear him on an instrument that really is up to the level of his ability is truly inspiring. When you couple that with the connection he has with one of the greatest bass players living, it put me in a place of pure joy. I knew anything could happen and that was what I wanted. This would be a night that I had prepared for but never thought would arrive. Two masters and musical heroes playing with me. To make it better, if possible, they are two of the kindest and most thoughtful people. We didn’t talk about what we would play at all. The only thing we discussed was that "Victoria", the Paul Motian composition, would be the last piece of the evening. We just started to feel the music from the first notes. It was an on the spot decision to dedicate the last piece of our first set to Andrew. He is just such a special player that the three of us have known, that it only seemed right. "Alternating Current" just seemed like a fitting title for the piece because AC are Andrew’s initials, as well as, he has always been at the forefront of evolutions of jazz. Bridges of Tomorrow was really where we hit our stride. It was the opening of our second set and I just felt that opening pattern with the mallets and it was like Matt and William were reading my mind. They just played with exactly what the music needed and every time that I thought the music had peaked, they could push it further. Playing with Matt and William was like being hit by a musical freight train and I mean that in the best possible way. By the end of the first piece that we played, I had sweat through my shirt. It was strong but sensitive, as well as, free but it never seemed out of control. My wife commented that she had never seen or heard me play like that. Matthew and William brought out a side of my playing that I didn’t know was there. That was what it was like playing with these masters. They unlocked things in a service to the music that changed my playing forever. It was one of the greatest musical experiences of my life. I had so much adrenaline running through my body, whew, I could have run back to the hotel. Hopefully, we will be doing more playing together soon!" For more information and links to purchase Jeff's CDs, go to jeffcosgrovemusic.com.